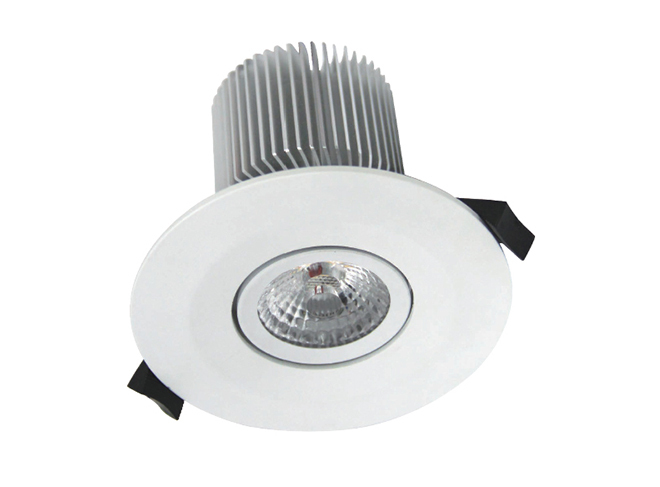 Description: LED adjustable down light achieves up to 70% energy saving compared to halogen lamp with a long lifetime of 40,000 hour lifespan. 60 degree beam angle and has a tilt of 15 degrees offering some directional flexibility if required. Dimmable on most leading edge and trailing edge dimmers. Emits no UV or IR light. Environmentally friendly and mercury free. Perfect for general lighting applications such as hotels, offices, shops etc. Also can be widely used for public areas such as stairways, reception areas etc. Available in White.